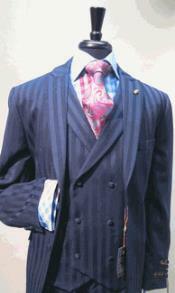 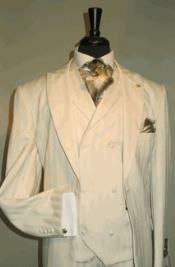 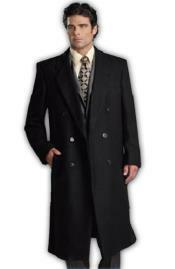 As the name double breasted overcoat suggests, overcoats are worn over a suit jacket or sport coat. 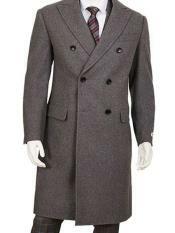 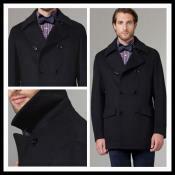 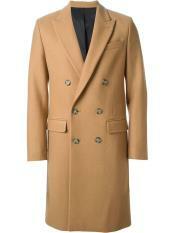 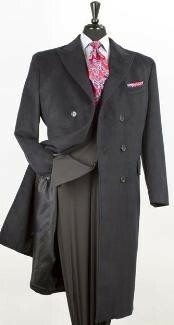 An overcoat keeps you warm and protects your suit in cold or inclement weather. 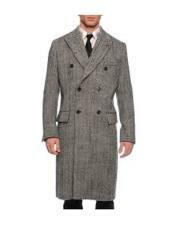 Our special variety is the double breasted overcoat specially made of wool. 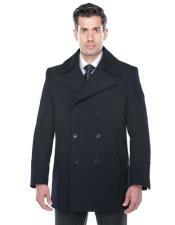 Cashmere wool double breasted overcoat keeps you warm during winter occasions. 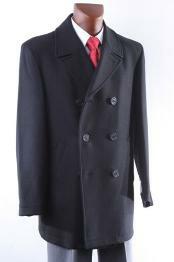 Our overcoats are made with the same high quality fabrics and using the same top quality construction methods as the big designers. 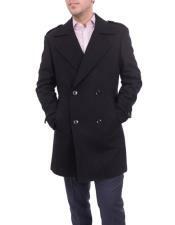 An overcoat from Men's USA offers the same style and great fit, but at a much lower price than you would pay for a designer overcoat. 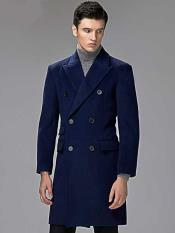 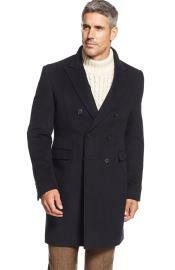 Double breasted cashmere overcoat is made of wool which is the ideal material for cold weather. 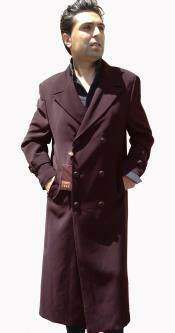 Double breasted coats are available in both short and long formats. 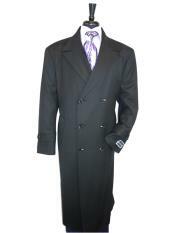 Long formats are ideal for tall men, short formats are ideal for all types of men. 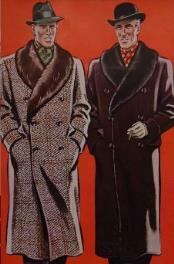 Double breasted coats are an excellent blend of fabrics like wool, synthetic etc. 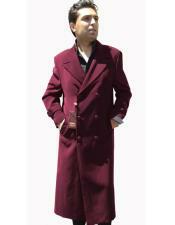 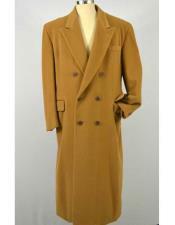 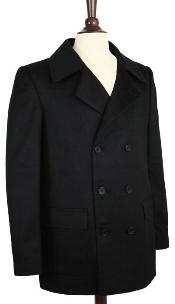 There are a range of lengths available in overcoats. 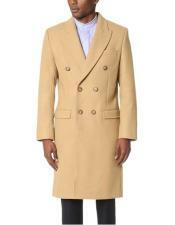 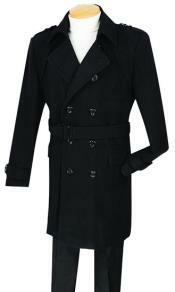 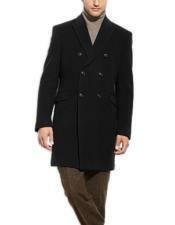 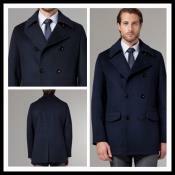 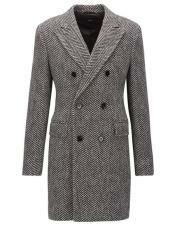 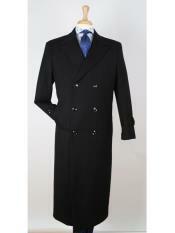 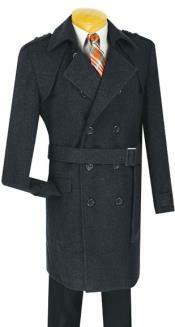 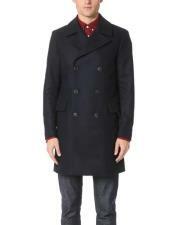 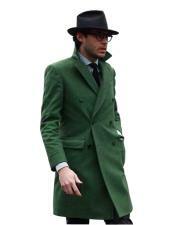 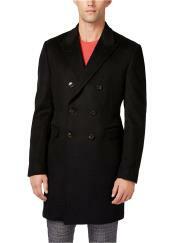 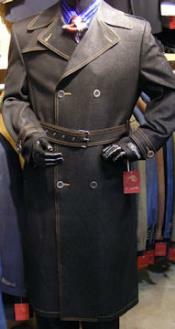 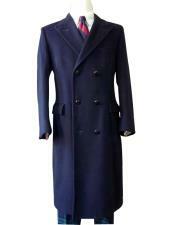 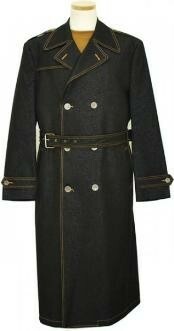 The length of an overcoat can vary from knee length to far below the knee, as in longer over coat styles. 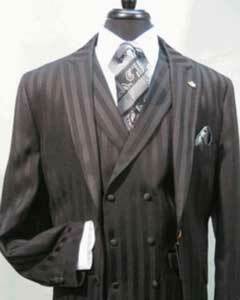 The decision is a matter of personal preference. 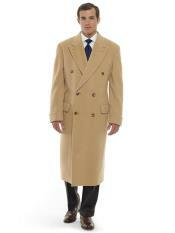 We carry knee length and longer overcoat styles to help you find exactly what you need in the style you prefer. 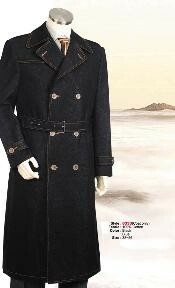 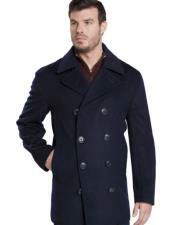 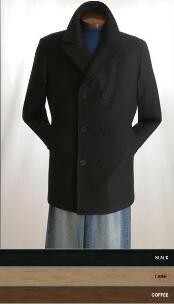 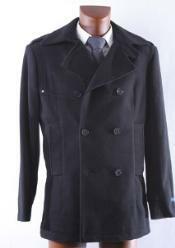 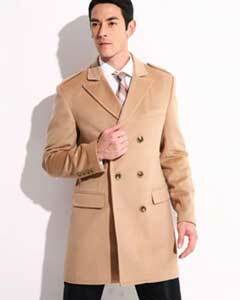 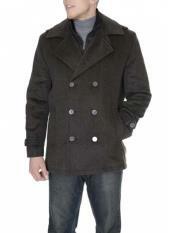 Take some time to peruse our online catalog to see our selection of mens overcoats. 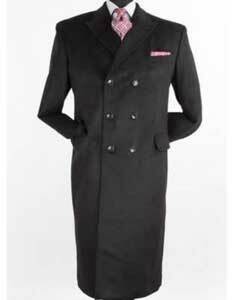 Our website has been designed to provide a convenient shopping experience and be easy to navigate. 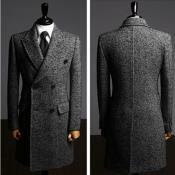 You will find a range of styles, including single breasted, double breasted overcoat styles in half length, full length and long length. 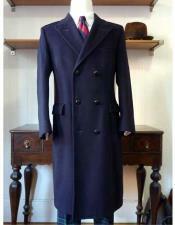 We offer overcoats in a range of materials including wool, cashmere and wool blends. 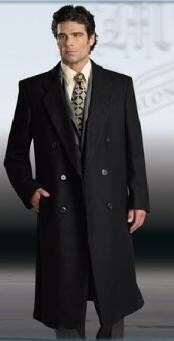 When selecting the size for overcoats, use your suit jacket size as a guide. 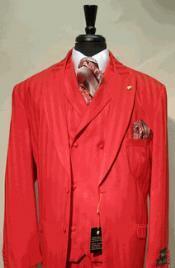 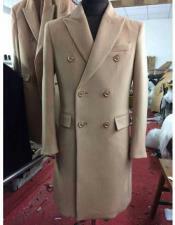 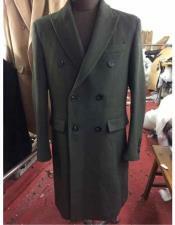 The overcoat will be cut a little larger to accommodate a suit worn underneath. 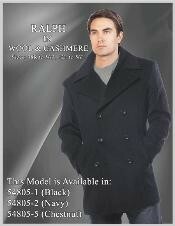 If you need help with selecting the right size, please see our "Measurement Info" section. 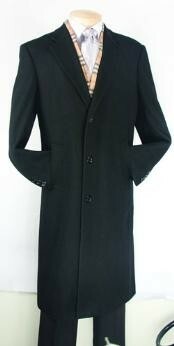 You will find instructions for taking measurements at home and a sizing chart to help you choose the right size.